Florin’s estimated median household is $41,000 (rounded), as compared with the state’s average of $68,000. Present cost of living index in Florin is 99.2, close to the U.S. average of 100. For those who have lived in the city for more than 25 years, 72% have completed high school, 12% have attained a Bachelor’s Degree, and 3% a graduate or professional degree. For those who have lived in the city 15 years or longer, 38% have never been married, 44% are currently married, 3% are separated, 5% widowed, and 11% are divorced. If you live in Florin, and have fallen victim to substance abuse don’t hesitate to seek treatment. There are enormous resources in at your disposal. Amtrak trains provide alternate transportation to Sacramento proper, and Los Angeles County. Religious affiliations in the city are predominantly Catholic or Protestant, though the majority claim no religious affiliation. As compared with the state averages: the median household income, the median house value, and the ratio of college graduates to the city’s population are significantly below the state average, as is the average homeowner age. Florin exceeds the state average in terms of foreign-born population, and African American population. Only 14.2% of the population does not drink at all, but that figure compares favorably to the 11.4% figure in the state. Many of Florin’s drug and alcohol statistics mirror that of its neighboring West Sacramento, which is due largely to its proximity to both Sacramento proper, and the northern metropolis of San Francisco. The state of California is a HIDTA (High Intensity Drug Trafficking Area) region, and Los Angeles to the south, and San Francisco to the north, are among the largest HIDTA strongholds in the country. Trafficking comes primarily from Mexican DTOs, who travel throughout the state to sell their wares. In terms of treatment, Caucasian patients comprise the majority of hospital admissions for those seeking help with substance abuse, at 40% (across the board substance abuse). African Americans follow with 25% of all such admissions (primarily opioids, pot and alcohol), Hispanics with 22% (primarily opioids, pot and alcohol), and all other ethnic groups 8.6%. Accidental drug poisoning, typically from pain-killers, is the most common cause of drug- and alcohol-related deaths, at nearly half. Alcoholic-related liver disease is a close second, followed by psychosis, dependence, myopathy, intentional overdoses and alcohol poisoning. Drug issues in Florin remain substantive, with many illicit substances coming in our going out (primarily the former) from the larger Sacramento, or Sacramento County. The former, California’s capital, presently maintains the largest percentage of opioid abuse, overdose, and treatment in the state, though declined from 2010 peak levels. Further, the city maintains a high percentage of newborn drug addicts primarily from prescription painkillers as abused by expectant mothers – an unfortunate statistic shared with West Sacramento – based on a study from the Office of Statewide Health Planning and Development. The state’s widespread use of cars, especially along its interconnected freeways, create an ease of access to larger city travel. As such, DTOs perform their services in widespread areas without worry, as the vast majority of the Florin population, as with other California areas, either have a car, or use widely available public transportation. Florin presently is battling a growing opioid problem that is close to the national average. Though not quite epidemic levels, the city’s issues are growing at a hastened pace. As with other California cities, authorities in Florin have stepped up in response to drug demand, and the national opioid battle. Florin residents frequently visit centers either in their city, or elsewhere in Sacramento County. The city maintains a large number of highly-desirable treatment options for your consideration, both private and public. Regardless of the degree of your use, as ever, you will always be able to find an option that is best suited for your needs. We have discussed this in other articles here, and it is well worth repeating: Pre-intake questions to consider, which mimic certain applications, include many that require the individual seeking help to dig deep inside and be brutally honest as to the degree and severity of their substance use. As with any other self-diagnostic tool, consider the preceding questions as exploratory only. You must speak to a trained and licensed professional for any true diagnosis. Still, such introspection can be extremely useful. Pointed questions such as these deserve honest, well-thought answers. You may be validated in your responses, or you may dislike your responses. Likely both will apply to an extent. Regardless, consider your results, and then take necessary action. A caveat: Even if you don’t believe you are addicted, but are concerned that your usage is growing, or that you may be on the cusp of a problem, our The Recover resources are there for you. You do not have to be on the far side of addiction to reach out to trained professionals as listed here. In the same spirit, if you are drawn to use, but have not yet, you may still want to speak to a trained professional. 21 million Americans suffer from substance abuse issues. You are not alone, nor do you have to be. If you believe you need help, then we strongly suggest you follow that gut instinct. If, however – for whatever the reason – you believe you need help prior to entering formal treatment, we have a suggestion. Speak to a friend, a family member, or an otherwise trusted associate. In an ideal situation, speak to someone you trust who has dealt with addiction issues. Ask them if they could help you, whether practically or by recommending someone who can work with you towards treatment. If you have no one you can trust, which is common for a user, then we suggest contacting one of the organizations on this page and speaking to them about your issues, or concerns. Sensitivity issues in working with a user. Many interventions are initiated against the will of the user, by concerned associated parties. Television sometimes reinforces the myth that all interventions are violent, or potentially dangerous. Consider this: Is your addiction potentially dangerous? If you find yourself as a surprised and unwilling subject of an intervention, those in charge are taking the action in your best interests. How you respond is, of course, up to you. However, note that the interventionist is there to help you, not hurt you. Intervention can be a highly-effective tool when prudently undertaken. Those in charge have an immense responsibility to you and your safety, and they take that responsibility seriously. You will hear it over and over in this article: Always remember, you are not alone. PHPs and RTCs are amazing resources for those with more severe or difficult abuse issues. Both options are highly-structured, especially the former. The importance of structure cannot be understated. You will have a time for medicinal treatment, a time for personal or group therapy, a time to rest, a time for activities. We will talk more about commitment in a moment. On that note, let us discuss the concept of commitment for a moment. Some users resent the term, thinking many of those who do not use, or who are not otherwise plagued by addiction, tend to believe commitment is that much easier than it truly is. How can a user commit to anything at all, one may ask, much less treatment if said user is overwhelmed by their addiction? It is very difficult. Really, it is. Understand that you have something very important in common, however, with a non-user: Specifically, nothing comes easy without work. And commitment, make no mistake, is work. This is why we mention that you may want to speak to a trusted confidante about your experiences. If you have trust issues, research your options on your own but once you make your decisions, without commitment your recovery will be that much more challenging. You can do this, though. You can reclaim your life. A commitment is necessary, but we cannot make that commitment for you. Always remember, you are not defined by your addictions. Make a decision, take action, and commit. You got this. Florin, California has been proactive in its efforts to curb its drug issues. According to www.drugabuse.gov, the largest current apprehension is that heroin usage will evolve. The fear relates to its growing availability through the state’s drug traffickers, and a perception of increasing affordability. The economy is strong in Northern California, and there is no indication of a correction any time soon. However, Florin’s proximity to San Francisco, and the state capital of Sacramento, enables a certain accessibility and ease of attainment of illegal drugs. This is endemic to locales near large metropolitan areas. As with Los Angeles County, savvy northern California DTOs have taken advantage of chemically altering the strength of meth. For addicts who require an ever-greater fix, the stronger version of the drug, though down somewhat in sales from prior years, remains a great temptation. Also, the ongoing issue of legal medical marijuana has created a new power-base for those who grow and traffic in cannabis. Further economic growth will be a large determinant as to where and how the illicit drug battle will change, or remain stagnant, from here forward. Current politics and ongoing issues regarding illegal immigration, particularly within the Mexican community – a group that has been particularly susceptible to engaging in Los Angeles and San Francisco trafficking – will surely have an effect. Interestingly, many DTOs have left larger metropolitan areas in favor of smaller communities. 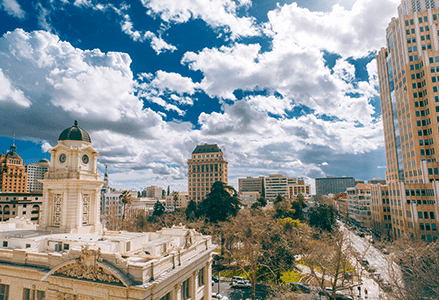 West Sacramento may be primed to pivot, positively or negatively, based on several outside factors over and above politics and ever-changing social policy. Where the DTOs will earn the most, where they will be considered “safe” from the local authorities or the federal government, where they can operate and continue to do so – and for how long a time – will all play a role. Perhaps by necessity, West Sacramento is particularly active and supportive as it regards the fight against addiction. Their numbers of hospital admissions have substantially decreased since the beginning of the millennium. The centers listed above have been positively reviewed, and friendly staff are readily available to meet your needs. Let the buyer beware, of course. Be sure to read all reviews including the negative, prior to selecting your treatment options. If you know of others who have been through these programs, speak to them. If you have a sponsor, all the better. Always do your own research as well. This is why we are here. We are here to help.